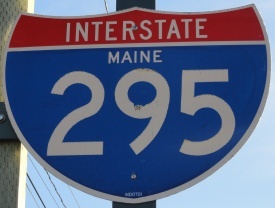 Interstate 95 is the only main interstate in the State of Maine. 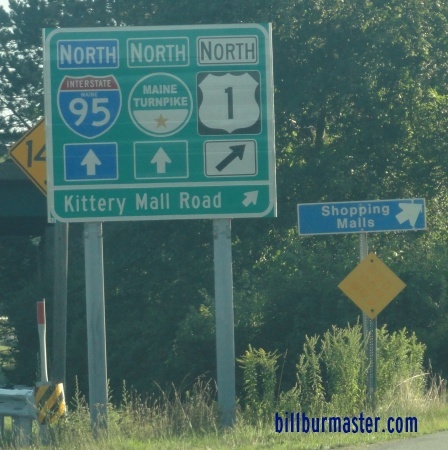 There are four "children" interstates of I-95. One of these are un-signed. 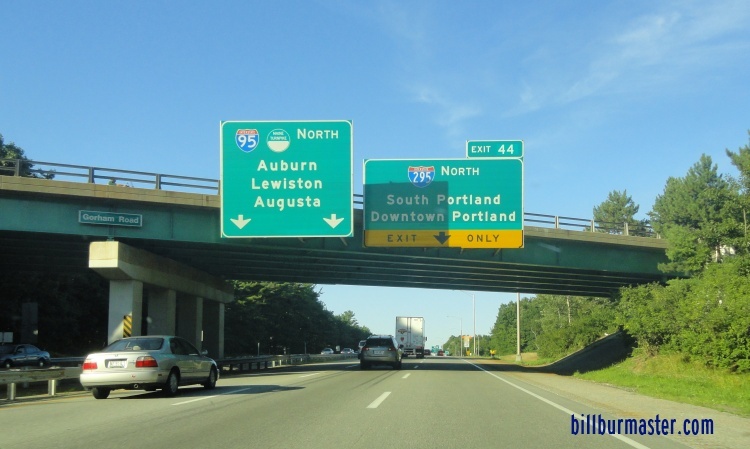 This highway enters the state from New Hampshire, at Kittery, and runs north over 300 miles to the United States of America/Canada Border, near Houlton. 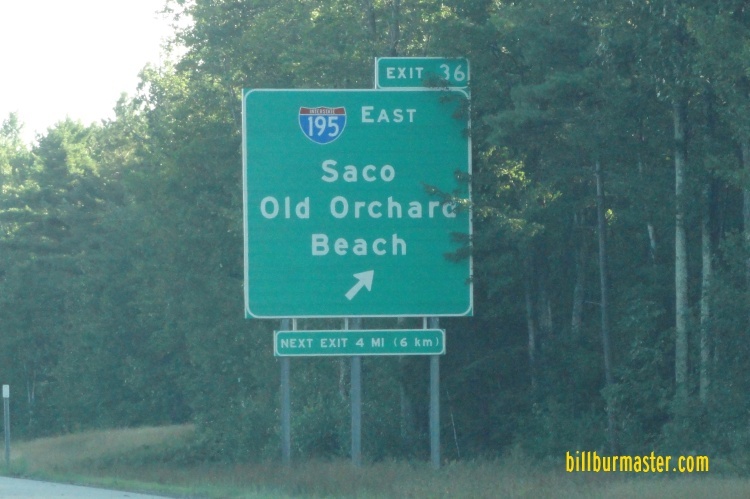 Prior to 2004, I-95 ran on the path that now is I-295 north of Portland. 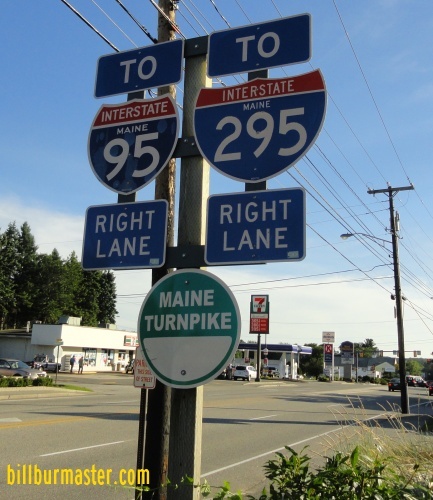 The changed allowed I-95 to run along the Maine Turnpike for the turnpikes entire length. 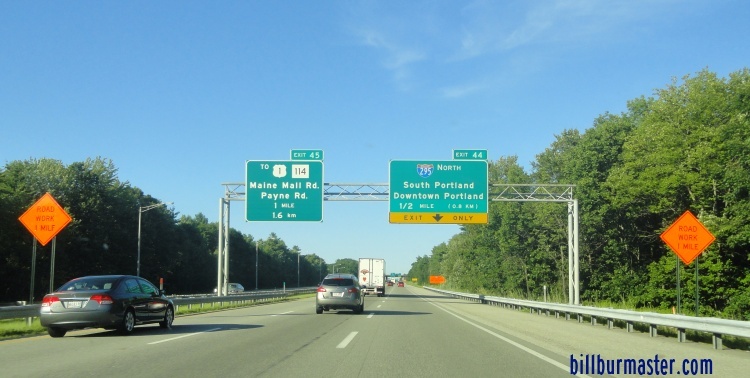 While in Maine, I-95 is multi-plexed. 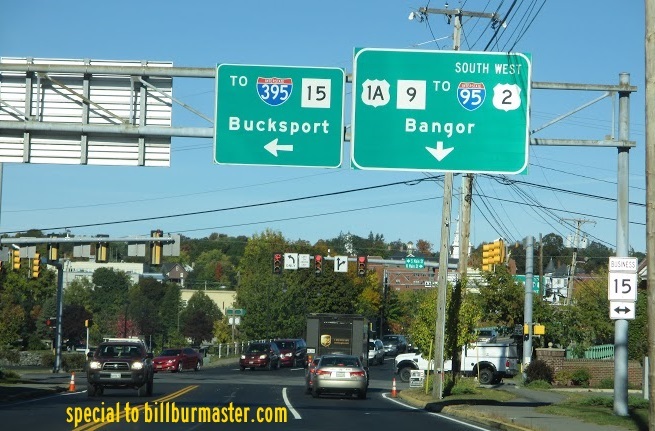 ...Maine State Route 15, near Bangor. 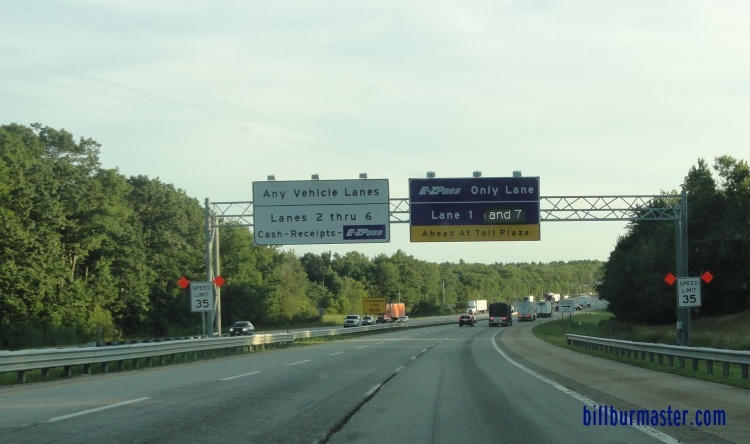 Info on the Maine Turnpike. 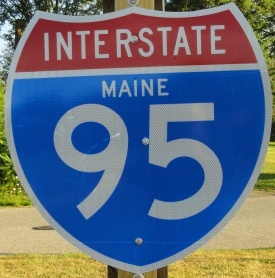 In Maine, Interstate 95 crosses the following interstates. 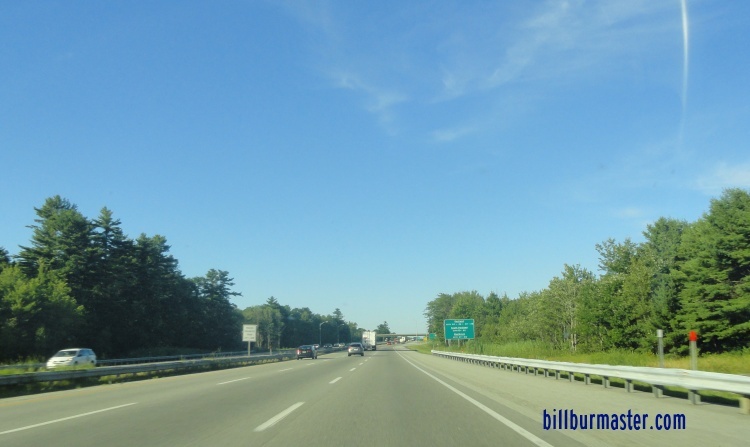 A BGS two miles from I-195 on SB I-95/Maine Turnpike. 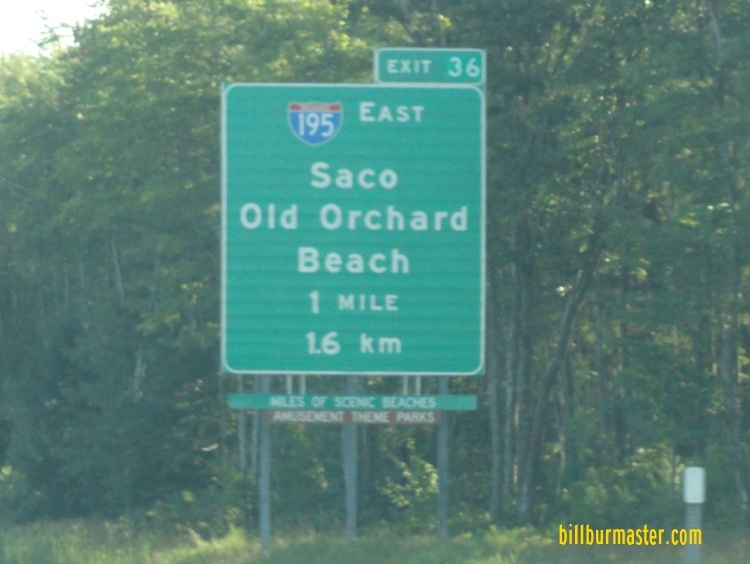 A BGS one mile from I-195 on SB I-95/Maine Turnpike. A BGS a half mile from I-195 on SB I-95/Maine Turnpike. 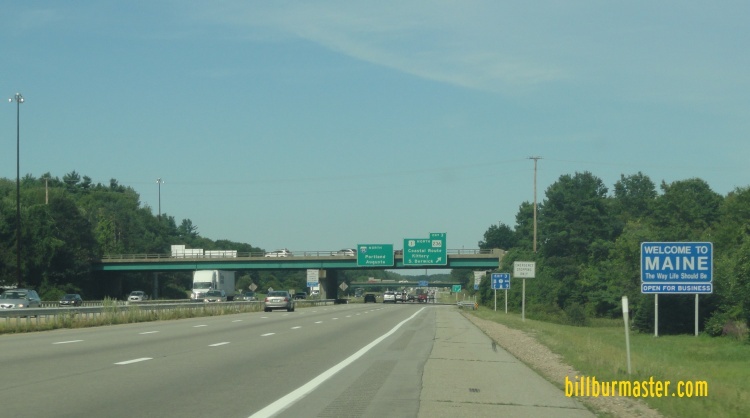 A BGS on SB I-95/Maine Turnpike at I-195. 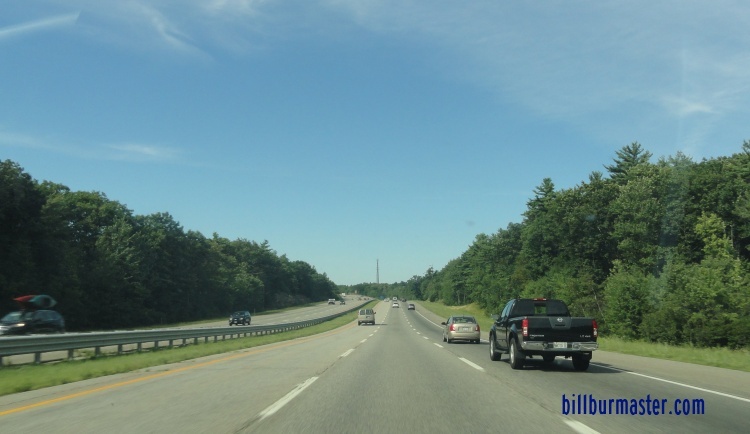 Interstate 295, near South Portland. 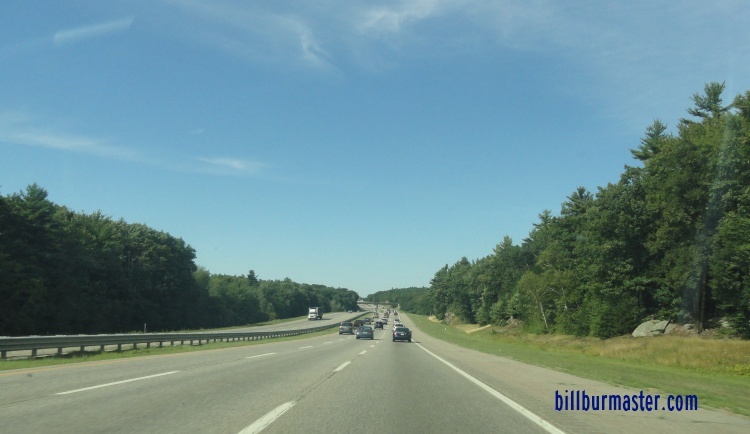 NB I-95/Maine Turnpike one mile from I-295. 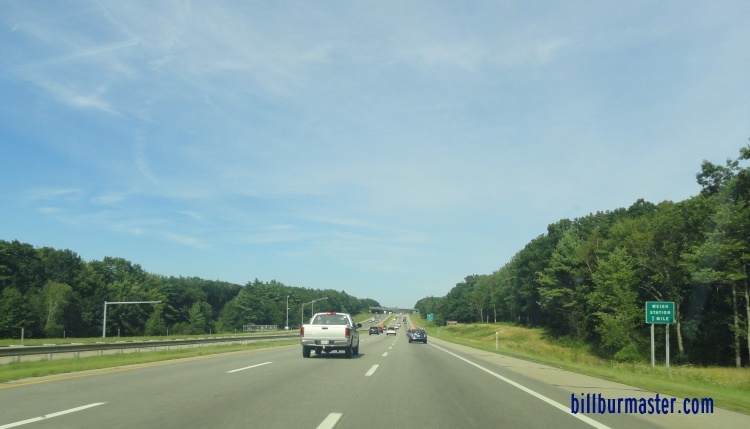 NB I-95/Maine Turnpike near I-295. NB I-95/Maine Turnpike at I-295. 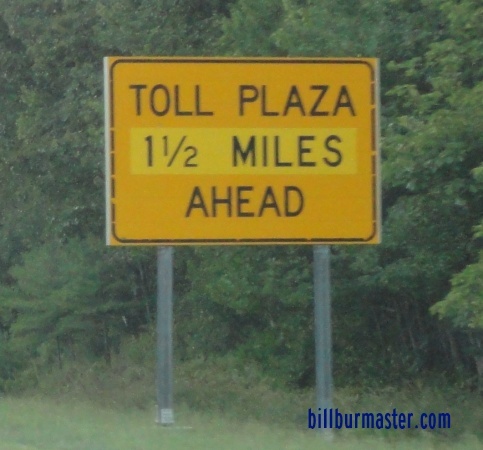 Toll plazas on I-95 in Maine. 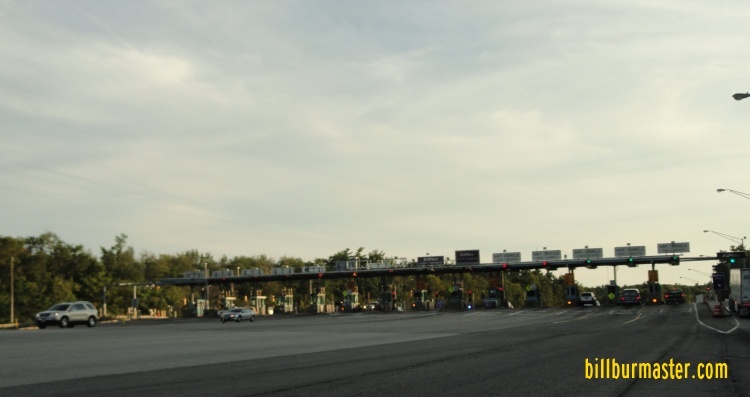 York Toll Barrier, near York Village. A warning sign one mile from the barrier on NB I-95/Maine Turnpike. 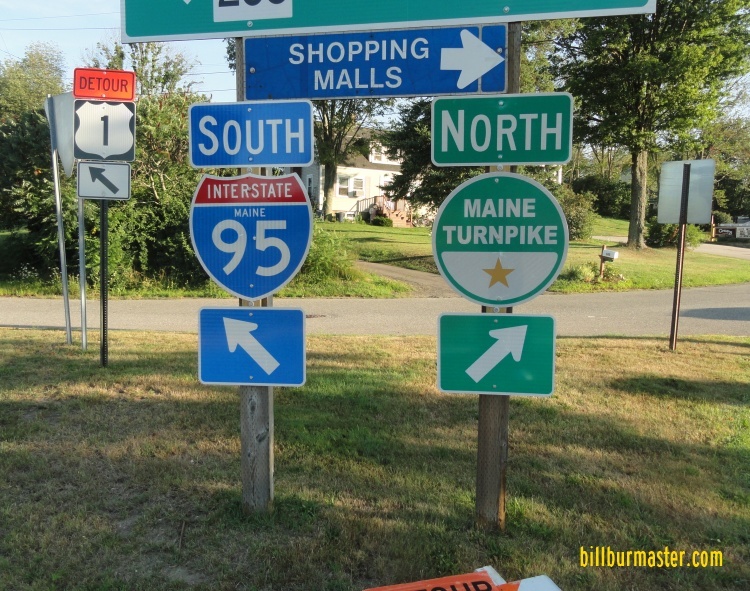 Lane markers on NB I-95/Maine Turnpike. 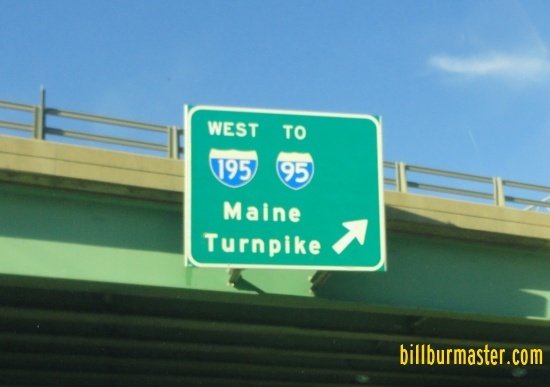 NB I-95/Maine Turnpike at the York Toll Barrier. A warning sign on SB I-95/Maine Turnpike. 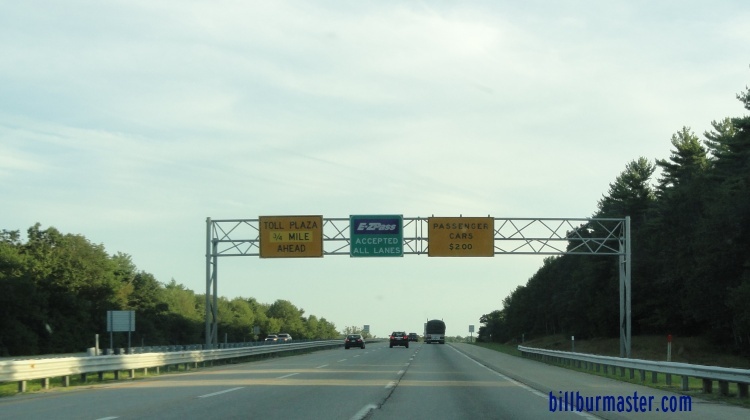 SB I-95/Maine Turnpike near the York Toll Barrier. 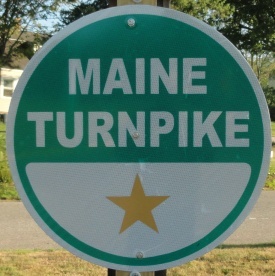 Lane markers on SB I-95/Maine Turnpike near the York Toll Barrier. 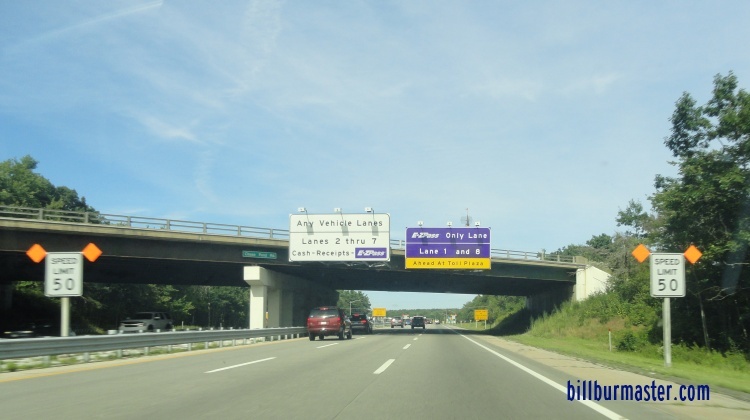 SB I-95/Maine Turnpike at the York Toll Barrier. New Gloucester Toll Barrier, near Gloucester. 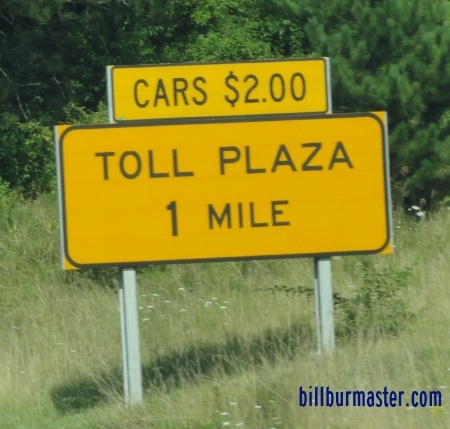 West Gardiner Toll Barrier, near Gardiner. 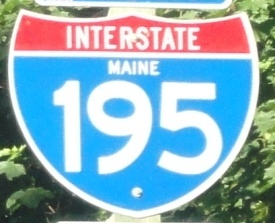 Branches of I-95 in Maine. 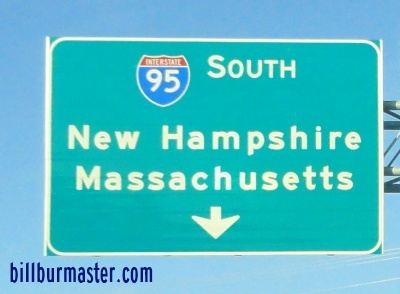 NB I-95 at the Maine Welcome Sign. 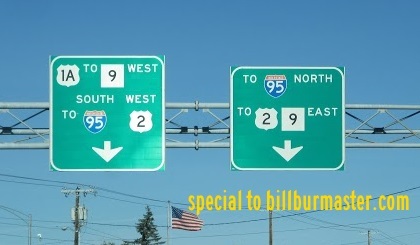 SB I-95 near the New Hampshire State Line. 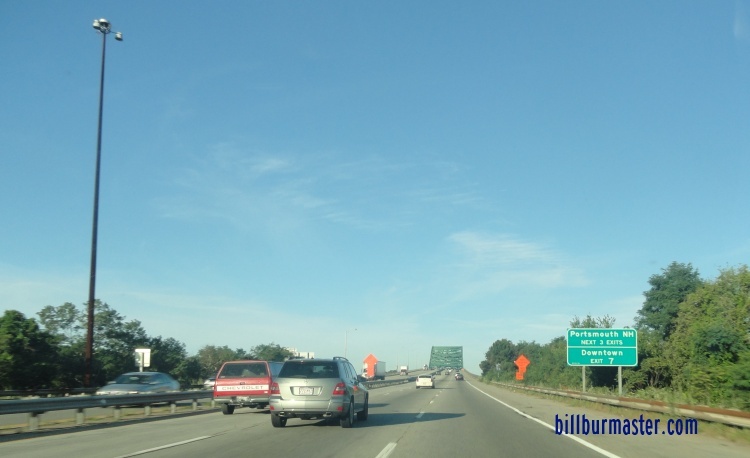 SB I-95 on the Maine side of the Piscataqua River Bridge. 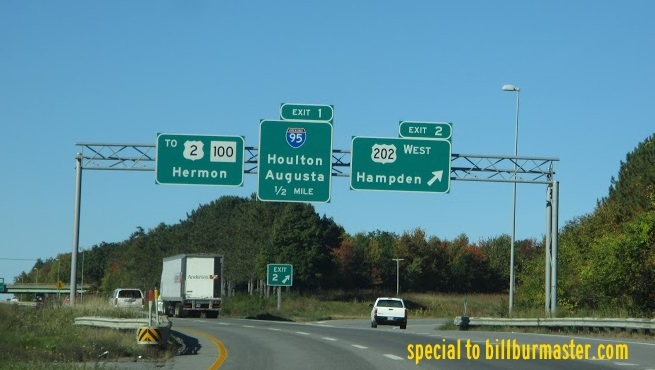 SB I-95 just before the New Hampshire line. A BGS on NB U.S. Rt. 1. 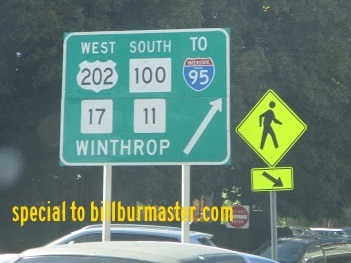 A set of guide markers on SB U.S. Rt. 1. 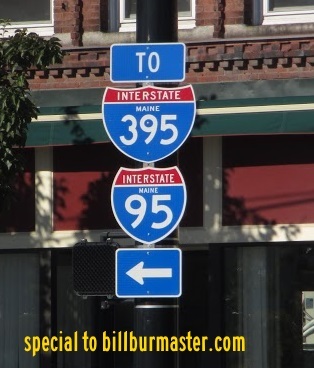 A set of guide markers in Kittery. 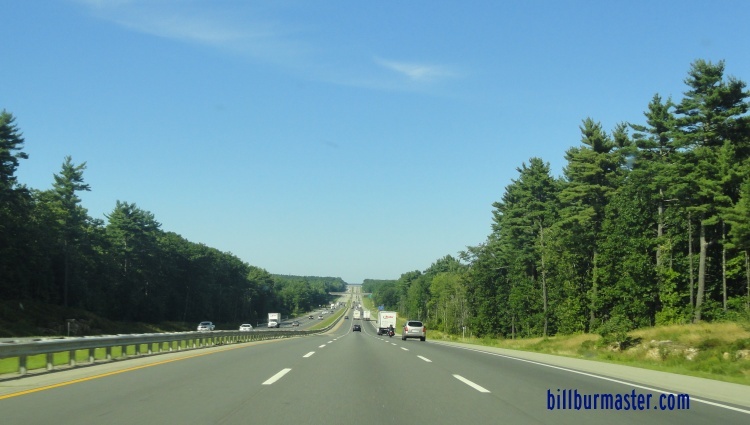 NB I-95/Maine Turnpike near York Village. 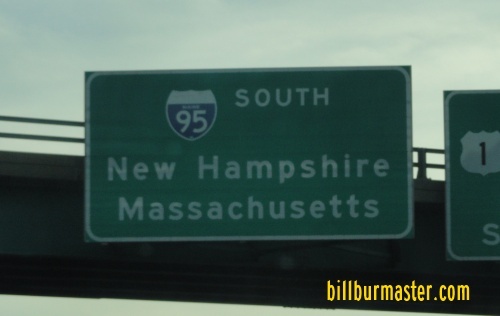 NB I-95/Maine Turnpike north of the York Toll Barrier. NB I-95/Maine Turnpike near Moody. 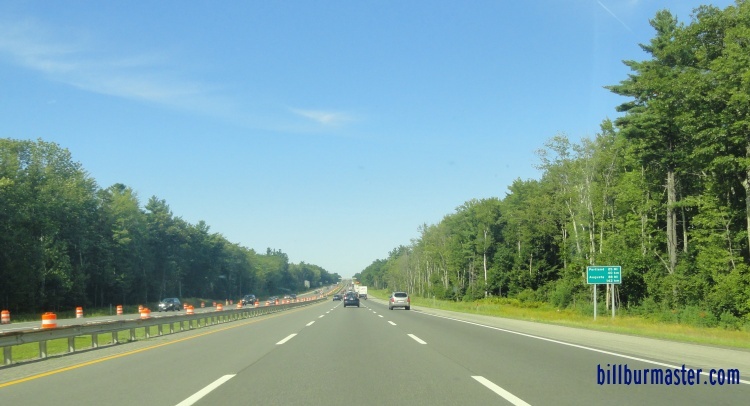 NB I-95/Maine Turnpike near Wells. 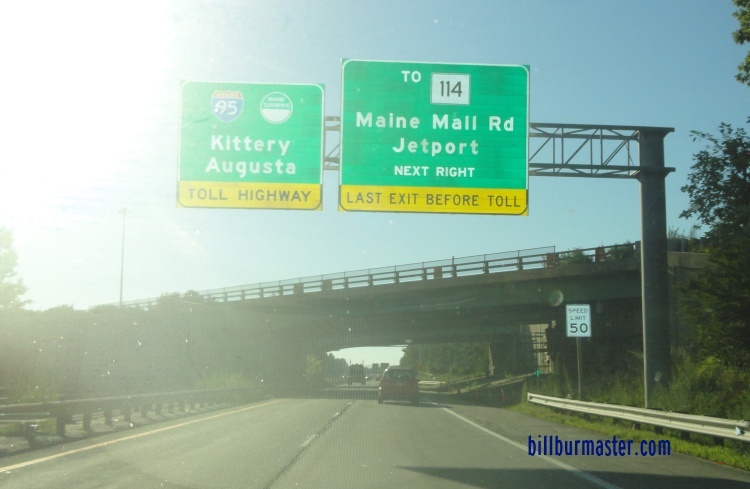 NB I-95/Maine Turnpike near Kennebunk. A BGS on NB U.S. Rt. 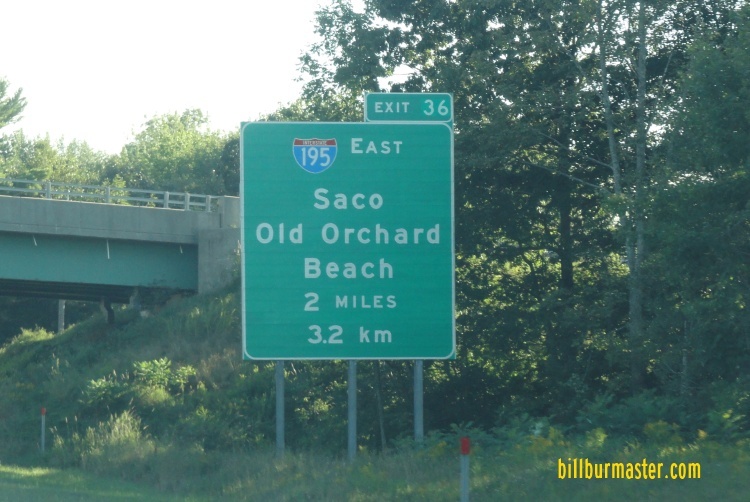 1 in Saco. 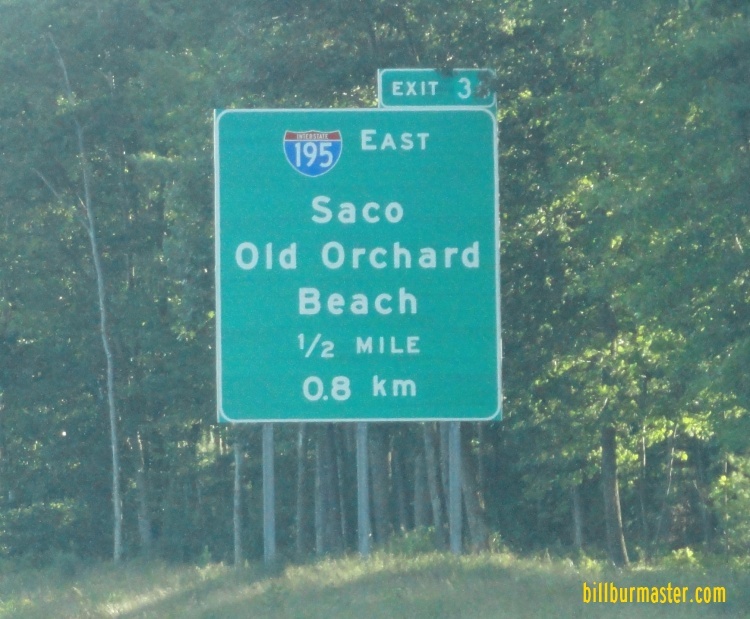 NB I-95/Maine Turnpike near North Scarborough. A guide marker on SB U.S. Rt. 1/ME St Rt 9 in South Portland. 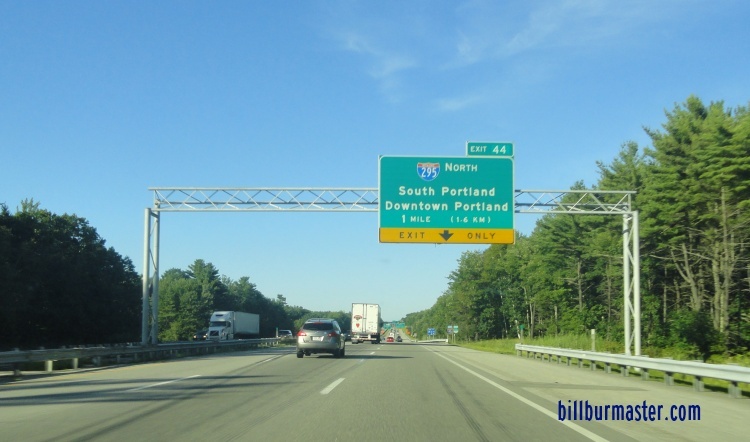 A BGS on the Maine Turnpike Approach. 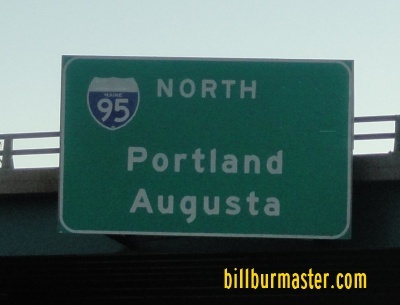 A guide marker in Augusta. A BGS on U.S. Rt. 1A, near Brewer. A BGS on U.S. Rt. 1A, at Brewer. 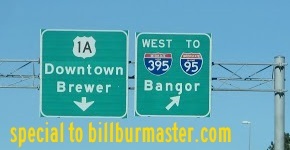 A guide marker in Bangor. A BGS on WB I-395/ME St Rt 15. 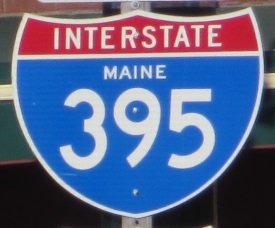 A junction marker on WB I-395/ME St Rt 15.